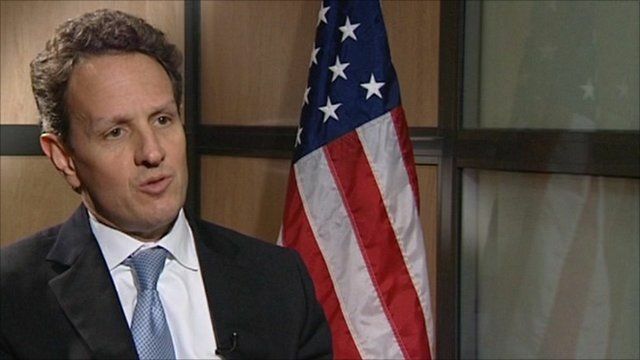 The US Treasury Secretary Tim Geithner has told the BBC that the light-touch regulation of the banking sector in the UK added to the turmoil in the financial crisis. He says the strategy of attracting financial activity to London away from New York and other financial centres meant the banking systems ended up being a much larger share of the economy than was healthy. Speaking to the BBC's Evan Davis, Mr Geithner says he is confident the reforms in America's banking system meant it was now much stronger and more stable than it was before the crisis.